Kreisha Ballantyne explores currency, and finds it to be a multi-dimensional measurement. It was on a typically glorious day that I encountered my first lesson on the ‘Importance of Being Current’. Many years ago, when the ink had barely time to dry on my PPL, a friend and I were all packed for a three-night trip to Broken Hill. The aircraft had been booked a month in advance, the weather was splendid, my charts and documents were up-to-date—or so I thought. As I handed my logbook to the flying school administrator and watched her leaf through the pages with increasing speed, my stomach sunk. I knew, instinctively, something was wrong. ‘I can’t find your BFR (biennial flight review),’ she stated. The exemption I was referring to (now known as CASA exemption 97/16) provides an alternative way of satisfying the flight review requirements for aircraft class ratings and pilot type ratings (regulations 61.745 and 61.800). The exemption means pilots are taken to have a valid flight review for an aircraft class rating or a pilot type rating if they have an acceptable alternative valid flight review. An alternative flight review is acceptable if it is for an aircraft of the same category, and for a multi-engine aircraft of the same category if that is applicable. I wrongly confused recent training with my need for an aeroplane flight review (then known as a BFR), but I was mistaken. Indeed, I was wrong. Had I completed a rating or endorsement, then I may not have needed an AFR, but training, on its own, does not make you exempt! Fortunately for me, an instructor was available, and I completed the review before departure, and in time to arrive before last light. One may be licensed without being current, and it’s possible to be current without being validly licensed. As well as a licence, a pilot must hold a valid medical. Whilst licences are issued through CASA’s licensing facility, CLARC medicals are issued through Avmed. Your records can be accessed through CASA’s self-service portal after having registered on the CASA website, and this is a practical way to check currency. A licence is the first and foremost qualification obtained by a pilot and indicates a general level of training, experience and achievement. An aircraft endorsement indicates that the licensed pilot has gained hands-on, manipulative skills and experience in a particular type or class of aircraft, or in a type of flying. Examples of design feature endorsements include tailwheel and retractable undercarriage, manual propeller pitch, turbine engines, pressurisation and float or ski landing gear. Examples of flight activity endorsements include aerobatics and formation flight. Aircraft endorsements are valid for life. However, the onus is on the holder to undertake refresher training on types of aircraft that have not been flown for some time. A rating is a qualification that allows various operational activities following further training and testing. Ratings can be obtained for flying at night, or by reference to instruments, or for certain agricultural purposes. Ratings can be valid whilst ever the licence is valid, or subject to periodic flight checks. Accidents can—and do—occur in cases of ‘legal’ pilots flying aircraft types in which they are not recent. There are Cessna pilots who fail to change tanks in Piper aircraft; pilots accustomed to fixed gear, who forget they’re in a retractable; and pilots used to larger aircraft, who attempt to fly sport aircraft in inappropriate conditions. It’s vital for pilots to apply their own personal assessments for recency that go above and beyond the requirements of the regulations. Responsible pilots have their own personal minimums, and use them. Although I hold a tail-wheel endorsement, nobody in their right mind would hire me their tail-wheel aircraft given my lack of currency, which is just common sense, whatever the regulations might be. It’s been more than four years since I flew an aircraft of less than 600 kg. Just holding the RA-Aus pilot certificate doesn’t make it safe for me to go flying in a Foxbat without some instruction. There are lots of similar situations for pilots without relevant recent experience: controlled airspace; short rural airstrips; extended cross- country flight; flying at night, and others. The path to safety? Happily, there’s a short-cut open to all of us—flying first with an instructor with these specific skills. While an AFR keeps basic skills relatively up-to-date, it can’t cover all possible conditions in a single flight review. Whatever, and however you fly, consider setting your own personal minimums for recency, including crosswinds, aircraft types, weather, darkness and aerodromes. These will be much easier to depend upon if written down. IFR flight is completely governed by regulated standards. But just because the applicable RNAV minimums are 800 ft and 4 km doesn’t mean you, or your aircraft, can do it. Perhaps more importantly though, it doesn’t mean you should do it, or that you have to. Every pilot has the right to say no. Having clear personal IFR minimums simplifies decision-making when the weather is poor. Pilots who fly for a living often have additional minimums imposed by their employer; and those who don’t might consider an equivalent system. I know a current, legal but perhaps irregular practitioner of lousy weather, who uses the alternate aerodrome minimum as personal minimums before attempting approaches. Despite thousands of hours and decades of GA, this pilot is also (sometimes stubbornly) conservative about turbulence, crosswinds, thunderstorms and freezing levels; but that’s probably also why, after all this time, this particular pilot is still around. IFR at night adds another layer to consider, so if that is part of your repertoire, be sure to add special night minimums to your personal standards. What should we do when the conditions go below our personal minimums? That obviously depends on whether you’re already in-flight, or on the ground—but right after the most obvious ‘don’t go’, or ‘divert’, is ‘don’t call it off either’. Weather changes; conditions will eventually improve. Even for IFR, that might mean waiting 24 hours, or more in really bad conditions. But if you never fly in the weather … well, it’s going to be hard maintaining IFR recency! Pilots should re-evaluate their personal minimums several times each year, and at every major milestone. Aircraft manufacturers are now factoring in personal minimums awareness into their checklists. For example, the Cirrus aircraft perspective checklist uses an ‘Envelope of Safety’ to encourage pilots to consider their personal minimums for wind, ceiling, and visibility. While your medical may be valid, you are not necessarily healthy. Section 6.16A (1) of the Civil Aviation Regulations (CAR) stresses that the pilot is ultimately responsible for their fitness to fly. In accordance with the law, you must not exercise the privileges of your licence if your ability to do so ‘…is, or is likely to be, impaired to any extent by an illness or injury, no matter how minor’. So – where does the responsibility for this fall? On us! Pilots are responsible for notifying their changed medical status, and grounding themselves accordingly. Stress – personal life – other factors – distractions? Alcohol – legal limits are one thing, but should you really be flying if you’ve been drinking in the last eight to 24 hours? Emotion – upsetting events – family – and simple things, like being cross at the numbskull that taxied out in front of you, without looking. If a change in medical status lasts for seven days or more (30 days for private and student pilots), you must not exercise the privileges of your licence until cleared to do so by a designated aviation medical examiner (DAME). Make sure you attend to the legal and administrative requirements and keep evidence of currency. Carry a printed version of your licence and medical and keep your log book up-to-date. Actively track your currency, especially for IFR, aircraft types and features, and night flight. Electronic logbooks, such as Log Ten Pro can make this an easy task. Join an aircraft type club. Organisations such as the Australian Bonanza Society and Cirrus Owners and Pilots Association offer proficiency programs, as well as opportunities for pilots to learn more about aircraft specifics. Attend CASA and Airservices safety seminars, which tour the country regularly. Share your experience with other pilots. You never know—one day, your contribution might make a life-saving difference to someone else. Social media is also a fantastic way to stay informed and entertained on aviation subjects. 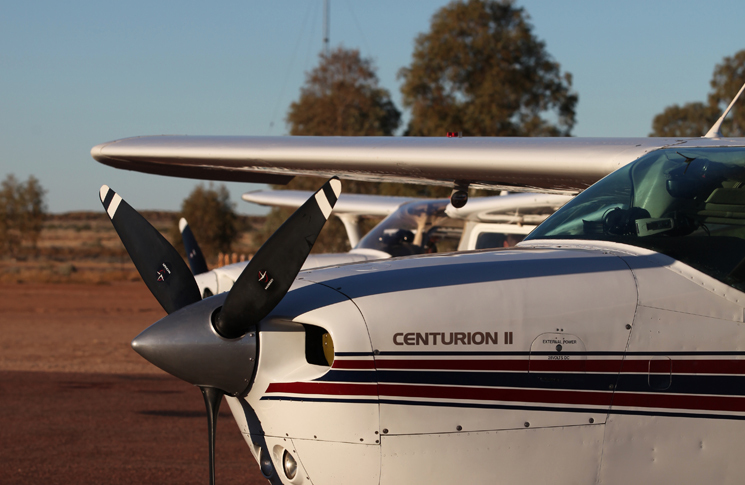 As well as CASA, Airservices, the Bureau of Meteorology and the Australian Transport Safety Bureau, there are a whole variety of Facebook forums and Twitter feeds dedicated to aviation. Pretty much every aircraft type has its own Facebook page, and there are aviation blogs galore. flying is a mix of so many things – being safe and sure is not relying on anything. Especially true given command decisions are your own. Don’t take anything as 100%, latest ERSA has like all publications some pages missing so the thing I like about this article is the suggestion to talk and network. If you have the new ERSA and you can’t find Moorabbin replace it.